Kordz was founded in Australia in 2003 to address the specific needs of the custom & commercial AV installation community by delivering dependable high definition connectivity solutions. 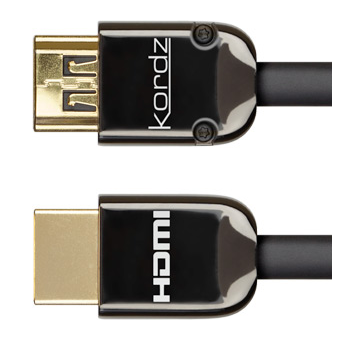 In the years since, Kordz has evolved into a well-respected, multi-award winning brand, specializing particularly in reliable long reach HDMI since becoming an HDMI Adopter member in 2005. Kordz is committed to a high standard of practical and graceful design, partnered with quality manufacturing and supporting education, all of which are key to the installers’ successful product integration. Kordz utilizes research and development facilities in Australia, Canada and Taiwan to engineer robust connectivity solutions to maximise commercial installation efficiency and deployment up-time with strict adherence to international standards. This dedication and consistency has incubated many like-minded affiliations over time, which in turn have further contributed to our knowledge base, development profile and ability to deliver. These include Quantum Data, HDMI test instrument manufacturer, HDMI Licensing and Authorised Test Centers (ATCs), leading video consultant Mr Joseph Kane of JKP, and high speed digital signaling experts phaseHD, Inc in Canada, amongst others. We know HDMI.